DIS Ignitions – Part # 62113 (2Chan) & 62153 (4Chan) – For Late model engines with distributorless ignition systems (DIS), MSD offers a variety of DIS Ignition’s from street to racing units. The DIS Ignitions all deliver a stout, CD spark that is capable of burning the majority of air/fuel mixtures. There are of course exceptions, such as full bred race engines running high boost pressures from turbos, blowers or nitrous. To answer these needs, we offer a Higher Output version of the DIS Ignition Controls. 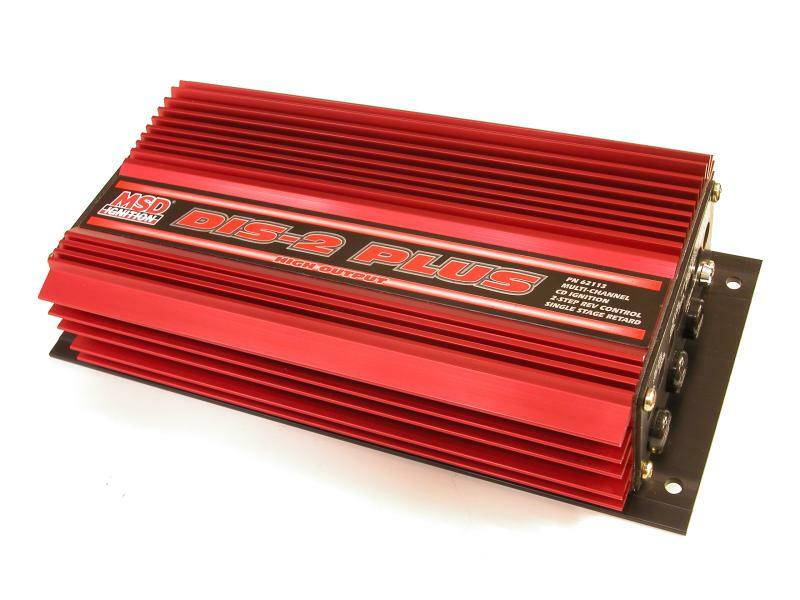 The DIS Plus HO Ignitions produce an incredible 170 millijoules of spark energy with 470 primary volts. This increased output will light up fuel mixtures even under extreme cylinder pressures. The DIS-HO boxes are not CARB approved and are designed for drag racing applications only. MSD 6A – Part# 6200 – The MSD 6A is the base model of the capacitive discharge multiple spark 6 Series design. Whether you have a powerful street machine, hard working truck or trick street rod, the powerful multiple sparks of the MSD 6A will ensure complete combustion. Benefits such as quicker ET’s, easier starting, reduced plug fouling, more power and even increased fuel economy can be expected with the 6A’s high energy multiple sparks. Like all of the MSD 6 Series Ignitions, the 6A will work with virtually any vehicle as long as it has a 12-18 volt electrical system. It can be triggered using breaker points, a magnetic pickup or the output of an electronic amplifier. All necessary parts and wiring instructions are included.